Beautiful Edible Lace available to order. 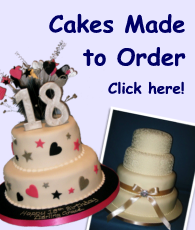 Perfect for adding the finishing touches to wedding, celebration and cupcakes. Strips are approx 320 x 60mm, depending on design, and can be joined to fit a large cake or cut to decorate smaller cakes.